Having posted this previously to A|N in general, I thought I'd share my question with all you loyal and knowledgeable Harry Potter fans. Mine is a ram. Ok, now i love him even more!!! did you know that daniel radcliffe (harry potter) has recently come out as a atheist. i used to love him but now i LOVE him!!! So as a Potter lover, what do you *hate* about the series? You need to be a member of Hogwarts to add comments! Yeah, right ... and we're supposed to believe that, aren't we? Cool beans, Dobby ... let's just keep in mind that five years from now, that will cost you your life. Okay with you? Thanks Steph! What a warm welcome, I feel like I just destroyed a horcrux or something! The primary aim of this investigation is to increase awareness of the fact that a debate over the reliability of the historical Jesus exists, that the evidence for Jesus is insufficient to prove a historical founder, and that a strong case can be made in favor of a mythological, literary character that was mistakenly assumed to be historical by later Christian converts. 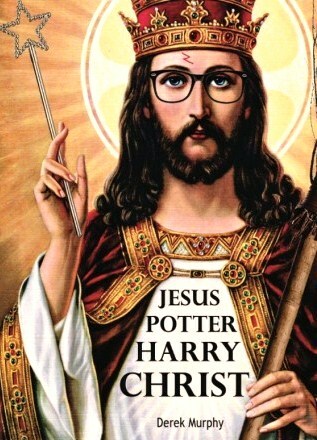 To that end, Jesus Potter Harry Christ begins by comparing the similarities between Jesus and J.K. Rowling’s Harry Potter and claims that the only difference between the two is that Jesus has traditionally been regarded as historical – that is, a real person in history. Actually, it's a book debunking the story of jebus by comparing its development to that of the Harry Potter stories (or words to that effect). Care to have a look? See the attached! So cool... a Harry Potter group! I'm glad I found you.